Unfortunately, someone took the scrolls from the cave years ago. We can only wonder where those scrolls are now. 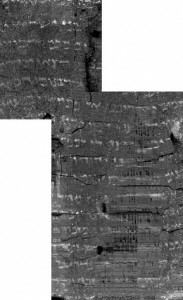 Two new books have been published reporting on the discovery of 25 Hebrew Bible texts, at least some of which may be part of the Dead Sea Scrolls. There have been ~70 such texts that have appeared on the antiquities market since 2002. The provenance of these manuscripts is uncertain since they were found on the antiquities market, but they may have come from the Qumran caves. They are believed to be ~2000 years old. Nehemiah was the only book that was not found among the original Dead Sea Scrolls. This new cache of manuscripts, however, contains portions of Nehemiah (2:13-16), as well as Genesis, Exodus, Leviticus, Deuteronomy, Samuel, Ruth, Kings, Micah, Nehemiah, Jeremiah, Joel, Joshua, Judges, Proverbs, Numbers, Psalms, Ezekiel, and Jonah. 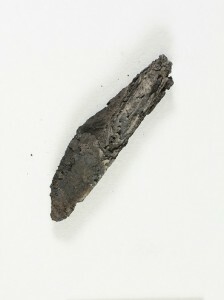 Given the unknown provenance, however, the manuscript may not be part of the Dead Sea Scrolls, even if it dates from the same period of time. Work is currently underway to investigate the manuscripts to make sure they are not forgeries.